Bring on the spring, that’s what I say. This past weekend was gloriously…well, grey. But on Friday afternoon the sun shone strongly and the cold, crisp air inspired me to get out into the garden with a sponge to clean up the greenhouse. I find that boring chores are much more likely to get done if I hold off on something I really want to do. 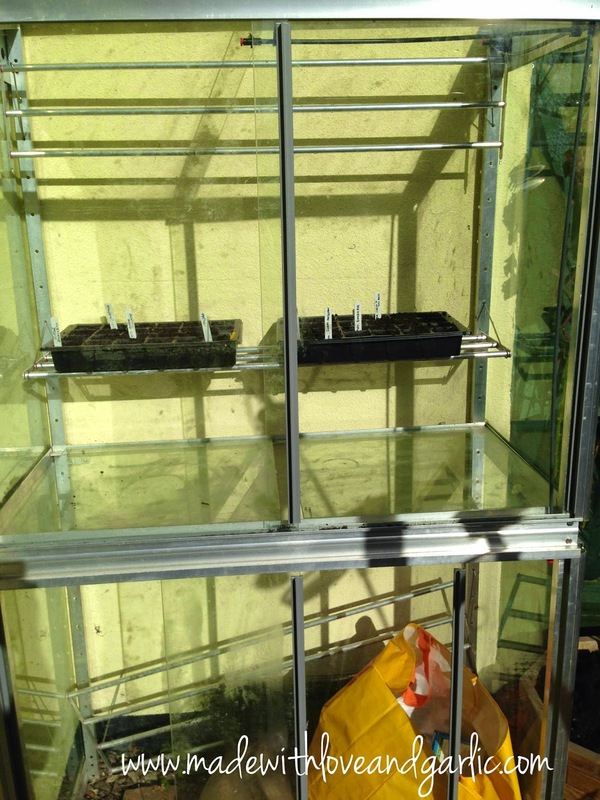 In this instance, the chore was scrubbing out the greenhouse and the fun task was the planting of the first seeds of the year. They look a bit puny sitting all alone in the greenhouse but it was lovely to feel that the planting year has officially started. Bring on the sun of 2015. 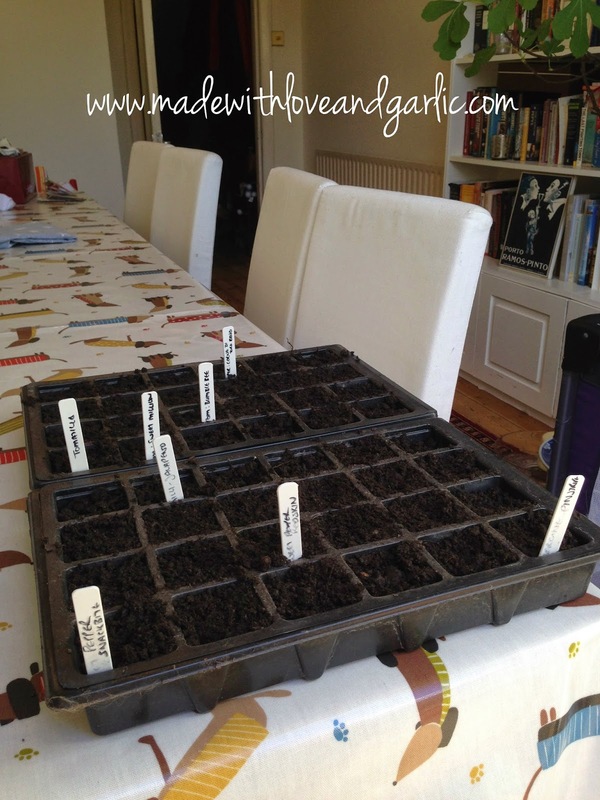 My peppers, aubergines and tomatoes need to grow. Last year I planted everything far too late which, coupled with the fact that I abandoned the plot when my own little bean arrived, means that I didn’t get much of a harvest. So I’m starting everything off as early as possible this year to give it as much time to grow as possible. Winter tasks like pruning are never laced with excitement like the planting of seeds that you can watch for germinating shoots!